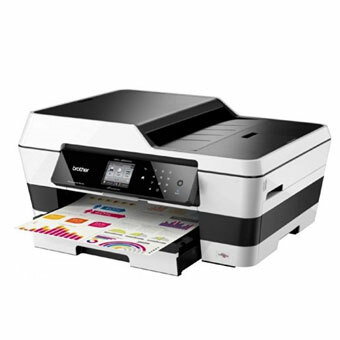 Full A3 high-volume printing, copying, scanning and faxing in one innovative machine with high-capacity dual paper tray and low cost InkBenefit cartridges. Enjoy full A3 printing, copying, scanning and faxing. Ideal for high volume printing as users benefit from low running cost with affordable 2,400* page yield InkBenefit cartridges and high capacity dual tray. Increase productivity with high print speed and auto-duplex printing.